As you are aware there have been several delays in the shipping of your Ocube. We had placed shipments on hold due to some issues reported from initial users. We had identified the problem (a charge controller board) and have been testing revised boards over the past few weeks. Unfortunately we continue to have occasional technical issues with these revised boards leading to over or under charging. Hence we are writing to inform you that there will be another delay in shipping your Ocube, while this issue is being investigated and resolved. 1) A full refund of your purchase price. 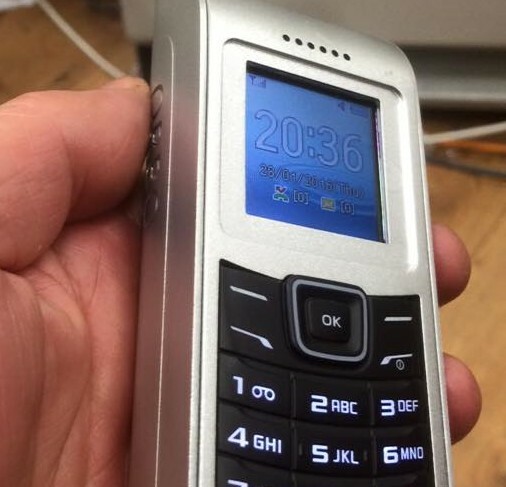 2) We will provide, free of charge an, Ophone with a prototype case as compensation of the continued delay. In addition we expect to will ship your Ocube in an estimated 6-8 weeks time. If you wish to take up this option we expect to ship your Ophone within 10 working days. Again sorry for the continued inconvenience, please advise how you wish to proceed. It’s gracious of Steorn to offer an OPhone as an “extra” to those whose OCube orders have been delayed. Now we’ll see whether these OPhones ship on time, and if so, whether they work better than the OPhones given to Rachel Wallace and Jennifer Roe, or the OPhone internals recently tested by Frank Acland. On March 4, 2016 the Orbo “team” advised their customers—who’d paid for an Ocube—that “we expect to ship our Ophone within 10 working days” which means that after nine weeks we should be receiving reports of exactly how any of these customers’ Ophones are performing. Oh, wait….. the Ophones aren’t working either, and apparently can’t be shipped LOL. Orbo are certainly the ultimate masters of prevarication. I would like to say thank you, too. I’ve followed your website on and off for the whole Steorn saga and you have always written and implied in nothing but a professional manner. I haven’t expected any results from this fiasco from Steorn. I honestly think he’s doing it to calm/distract the frustrated investors and nothing more. I also didn’t expect him to give any refunds, but there you go. Keep up the good work, but don’t follow Steorn when you see them jumping off the cliff. Pingback: Pål Bergström Blog | Är Keshe Foundation en bluff?